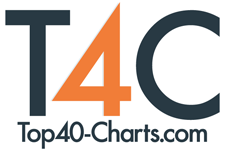 New York, NY (Top40 Charts) When blind guitar legend Joey Stuckey gives inspirational talks about overcoming odds and helping people define success on their own terms, he's big on the concept of living a life of intention. Yet when the veteran blues rocker booked his progressive Americana trio into the legendary Sun Studio for a three hour session on an off day from their tour, he had no specific plan except to record a few originals and covers. Letting the legendary spirits in the room (Roy Orbison, Johnny Cash, Elvis, et al), the vintage 50's-60's equipment and the refreshing spontaneity of a live in the studio opportunity take over, Stuckey created In The Shadow of the Sun, the most unexpected and amazing full length album of his career. The vinyl version includes the original and radio edit versions of the set's lead single "You're So Wrong," "Troubles Come in Threes" (featuring Hammond B-3 great Randal Bramblett (Steve Winwood Band, Traffic), "Still Me Sane and Free" and "Truth is a Misty Mountain" (a tune Stuckey wrote in the 90s but never recorded before). Stuckey also recorded blistering first take, no mistake versions of Van Morrison's "Domino," Danny O'Keefe's "Good Time Charlie's Got the Blues" and The Allman Brothers' "Whipping Post" - which Stuckey concludes, as he does when he performs it live, by shouting, "Good night, thank you, and may your God go with you!" Another highlight is "Ain't It Good to be in Love," which features a 30 piece children's choir from Howard Middle School in Macon, where Stuckey's bassist Nestor Jaenz is choir director, and a special guest performance by trumpeter Al Chez, best known for his work with Tower of Power and the Paul Shaffer Band. Stuckey released the original version of the track in 2017 under the name "Joey Stuckey and the Shadow Bandits." It is a co-write with his dear friend Charlie Hoskyns, a UK based producer Stuckey met while performing in England. The two wrote an entire album together, and Stuckey wanted to include a freewheeling new version as a tribute to his friend, who passed away in September 2017. The CD version of In the Shadow of the Sun, which runs about 70 minutes, is an exciting package that has both stereo and mono versions of all eight songs and the radio edit of "You're So Wrong. "At the original Sun Studio, everything was mixed in mono," Stuckey says, "and I thought it would be cool to present recordings in that format as an homage to those that were done there in the 50's and 60's. My thought was, since you're hearing the classic room and some of the gear from that era, let's see what it would sound like as if we had recorded it then. There is a bit less articulation in mono, but the groove, the kick drum and bass, is heavier and fatter." Although it's not on the album, the track from the session that means the most to Stuckey is the Hank Williams standard "Your Cheatin' Heart," which was the first one he and his trio (which also includes drummer Charles Arnold) laid down when their session started at 7 p.m. It was a way to get his dad, an amateur guitarist and a huge lifelong inspiration, involved. Stuckey's wife Jennifer also contributes vocals. "My dad had a heart attack back in 2016 and so I also thought this would be a priceless memory for us to play together in the place where Elvis and so many other stars did back in the 50's and 60's," Stuckey says. "So I asked him to join the band on a song. This track isn't for the public, just a family treasure. But it was something really different than what I am used to in a good way! As a producer, studio owner and professor of music technology for Mercer University, I use as many as 10 to 14 mics on just the drums alone. So this was a cool experience just having a hand full of mics for the entire band and everyone in one room, where I usually separate everyone e in ISO booths." "I'm one of those guys who generally uses a click track and is known as a 'must get everything perfect' producer," Stuckey says. "In the Shadow of the Sun is not that. There's no click track or safety net, no way to fix a mess, and everything I'm doing here is something I don't typically do in the studio. Which made it a totally liberating experience for everyone. The best thing about the session is that we went in there with a bunch of songs, but no specific mission or agenda, doing it for fun and without much stress. Our attitude was, if it works out, great. If not, we had a blast. It completely reflects my longtime aesthetic in my home studio and with my band. Everything for me is about keeping focused and staying joyful."